Deciding on the future options for your business will mean reviewing your progress so far and assessing your strengths and weaknesses. There are a number of avenues open to businesses that are up and running but not all of these options will be desirable. Depending on how successful your company is you may have to consider whether to expand or whether downsizing is required for survival. Usually after two or three years a company will review their successes and failures. The goals and objectives that were set out in the original business plan may have been met or may need updating. If you are looking to the future then meetings with department heads and staff members should specifically focus on the direction your company is taking. Get as many viewpoints as you can on the company’s progress from various department heads. The accounts department will play a big part in providing important financial information on the future of the company. Although it sounds similar to “keeping up with the Jones” comparing your company’s success to similar businesses will be beneficial. Competitors are a major issue and a close eye should always be kept on the prices they charge and the services they provide. If you find you are coming in second place to your competitors then find out why. Are they providing services that your company is missing out on? Have any new competitors moved into the marketplace? 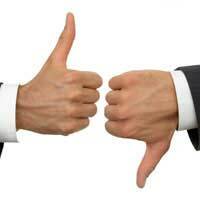 Reviewing your original plan should bring up either positive or negative results. If you have not met all of your goals and objectives then you should find out why. Are there certain obstacles that have stopped you obtaining your original objectives? If you have met all of your objectives then is the time right for company expansion, and are you able to obtain the financing for this? Have your original financial forecasts been accurate, and have you either surpassed or underachieved where forecasts are concerned? It may be the case that your company has not lived up to its expectations and if so expert advice may be the answer. Many struggling businesses will bring in consultants to inject new ideas and find solutions to problems that have arisen. Consultants will cost money but they can be worth the price, and can provide solutions that will be beneficial to planning the future of your company. Consultants will be able to provide unbiased advice on solutions that can improve productivity and profits within a company. If you do decide that expansion is the way forward then there may be a few avenues open to you that were not previously available. If you now own any company assets you can use them as security for future borrowing. You may need this money to move to larger premises or employ more staff if productivity has risen. You might also consider taking an equity partner in the form of a business angel or venture capitalist if you company is successful. Expanding your company will require extra funding but it may be the best option to sustain future growth. Many businesses have to consider downsizing as a survival method. This could mean moving to smaller premises, cutting the number of employees or streamlining the products and services offered. With e-commerce having a very real impact on the way businesses now trade these alternatives have to be considered. Downsizing can reduce overheads and outgoings and can have a positive impact on the future of a struggling company. For many businesses it is the only option available to ensure future survival. Constant reviews will be needed to find the best way forward for any company. Being flexible with your options and embracing change is the only way for a company to survive. Make sure that you always listen to ideas from staff members; this is one of the best ways to keep abreast of changes and maintain your foothold in the competitive marketplace.